The Children's Room: APRIL VACATION IS COMING!! Next week is school vacation week, and we've got lots of things planned here in the Children's Room. 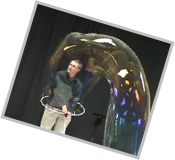 On Tuesday afternoon, Keith Michael Thomas, otherwise known as THE AMAZING BUBBLE MAN will be visiting us to demonstrate the science and the magic of---BUBBLES!! We've heard from reliable sources that this show truly is "Amazing!!" We are asking people to register to help us estimate space needs, but there's room for everyone, so make sure you put this on your calendar. On Wednesday evening, at 6:30, we'll be hosting a TEDDYBEAR SLEEPOVER party! Bring one of your special stuffed toys (but make sure it's someone you can sleep without!) and we'll gather in the story room for some Teddybear stories and songs and a little snack. Feel free to come in your 'jammies! Then we'll each make a special pillow for our stuffed friends, find the perfect spot in the Children's Room for them to spend the night, give them a kiss, and go on home. Beginning at noon the next day, your stuffed friends will be available for pickup, and we'll have photos of what they were actually doing during their library sleepover! It's lots of fun, and space is limited, so sign up now! 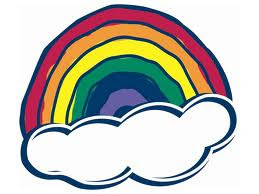 We'll have a "Rainbow Windsock" craft set up at the Make-it/Take-it table all week long. Make sure to stop by and get creative! 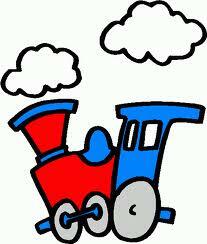 If you love trains, then the Children's Room is the place to be during vacation week. Miss Sarah will set up the train table for everyone to use. There are trains available, but if you want to bring some of your own to run on our tracks, feel free!---just make sure to label them with your name so we know they're yours. I hope to see all of you next week!